Capital International has been in the specialised area of recruiting the very best technical engineering professionals for business throughout Europe since 1983. The key to our longevity and success is our passion for excellent customer service, the very best results and a highly trained and competent team. 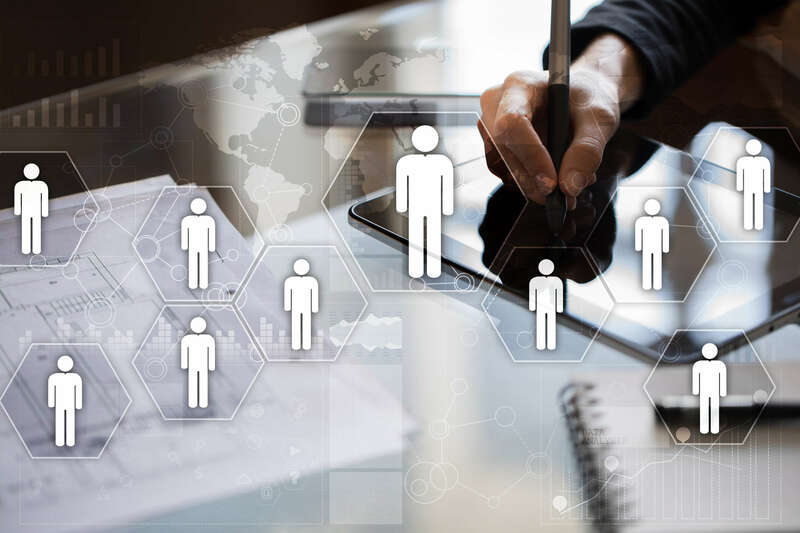 Capital have always taken the view it is better to be specialists than generalist and have taken a proactive and innovative approach to contract and permanent recruitment solutions. This has enabled us to build up an enviable database of potential candidates, good client relationships and a work force that is highly skilled and committed to delivering the very best results for our clients and candidates. Based near Brighton in West Sussex, Capital is geographically positioned with excellent road, sea and air links to ensure we provide a personalised recruitment service to our clients in the UK and Mainland Europe. Our multi-lingual staff are trained to offer cost effective recruitment solutions, whilst ensuring legal and compliancy standards are met for every country in which we operate. 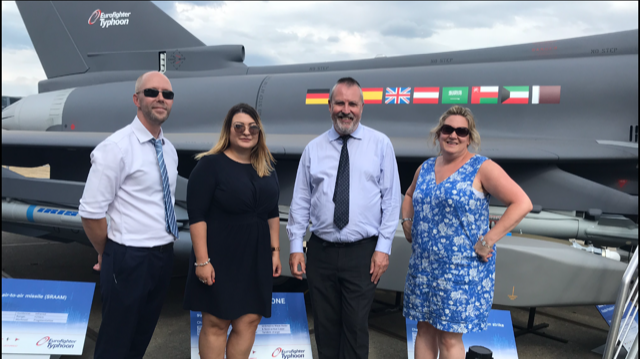 Some of the Capital Team visiting the Farnborough Airshow 2018. To focus on delivering an extraordinary service to all our customers, and to constantly invest in the growth and development of our people. We want our work environment to be fun, passionate and hard to leave! We want our candidates to work with us and know we have their best interests at heart and our clients to know they can trust us to deliver the best personnel for the job. Karen is passionate about the recruitment industry, and has over 30 years’ experience in our niche markets; engineering and technology. She is particularly interested in encouraging young people to consider a career in engineering. Outside of work every spare moment it spent with her horses, dogs, and drinking champagne with friends. Graham has many years’ experience working as a software engineer and project manager in the defence, aerospace and telecommunications sectors. He looks after all technology aspects of the business. In his spare time Graham is a keen cyclist and Strava user, always training for cycling trips to mountainous regions across Europe. Hazel has been with Capital for over 15 years, she is the backbone and knowledgebase of the company for all things operational. From ensuring compliance, to making sure we don’t run out of coffee and organising the all-important Christmas party! In her spare time she loves socialising and village life. Claire has 12 years recruitment experience, including 8 years with Capital International. Working as Managing Consultant within the Space & Satellite division, Claire focuses predominantly on the European Space market. In her spare time, Claire loves to travel and has been to over 40 countries, spanning 6 continents… only Antarctica remains! Ben has 14 years’ experience with Telecoms BSS recruitment, working with some of the world’s leading Telecoms operators, software vendors and system integrators. He currently manages the Telecoms team within Capital, supporting Transformation programmes with key resources. He also supports Everton FC, so he spends most of his free time entertaining his 4 sons and trying to forget his poor choice of athletic underachievers. Monika is a specialist consultant within Capital’s automotive team, focussing on Autonomous Driving, Navigation and Connected Car technologies. She uses her 10 years’ of technology recruitment experience to successfully find scarce skill sets across Europe. In her spare time she enjoys experimenting in the kitchen and spending time with her young family. This is Yasmin’s first recruitment role, but she is looking forward to working in the industry. After graduating with a law degree she spent some time working as a fraud investigator. She has joined the Capital Team as a delivery consultant, working in the Space and Satellite industry. In her free time, Yasmin enjoys having a laugh, going out, socialising and anything fun. She also enjoys going swimming, as well any sports involving water. Matt joined the Capital Team in 2018 as a Delivery Consultant, working across all our sectors. He is excited to be placing candidates in thrilling roles all around the world. Outside of work, Matt plays cricket and has spent a number of years as both captain and a youth coach, he also loves football and supports Arsenal. Sam has previous recruitment experience within the Software and Financial Technology sectors. He studied Mechanical Engineering at college so naturally has a keen interest in the engineering industry. Being new at Capital he is excited to start placing candidates into Capital’s sectors. In his spare time, Sam enjoys training hard at the gym and eating good food; either in restaurants with his girlfriend, friends and family, or cooked by himself at home. Jenny first joined Capital in 2001, and after a brief venture elsewhere in 2005 she returned in 2006 as a Senior Finance Assistant. She primarily looks after Capital’s contractors, making sure they get paid on time. Jenny spends most of her spare time with her family, often being the usual ‘taxi’ driver that most parents are! Kelly has been with Capital for 18 years and has been working in the Finance Department for all that time. She is responsible for maintaining the Purchase Ledger daily, as well as expenses, credit checks and monthly reporting. In her spare time she goes to Zumba and Zumba Strong classes and runs around taking her son to Basketball, she also like to go camping with friends in their campervans! Sophie is a recent graduate who is excited to have joined the Capital team, she is responsible for Capital’s digital presence. Her days are spent scheduling posts, and organising various marketing campaigns. In her spare time she competes nationally with her horses, and has a keen interest in sci-fi and fantasy. Claire has been with Capital for over 16 years, spending most of that time in the Sales Team. She now works as an administrator, performing tasks from raising contracts to general admin in the Operational Services Team. In her spare time she enjoys spending time with her young son and fiancé and having fun and enjoying life with friends and family. Teddy has been a valued member of the Capital Team since June 2017. He spends his days at work chewing toys, playing fetch, sleeping, and having cuddles. In his spare time he enjoys long walks, tennis balls and playing with his much bigger brothers at home.